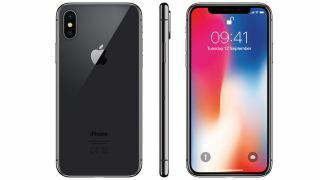 The iPhone X was the best-selling smartphone during the first quarter of 2018, but the iPhone 7 was shifting more than half as many more this time last year, new figures have revealed. The handset was unveiled late last year alongside the iPhone 8 and 8 Plus and is the most expensive iPhone ever made. During the three-month period, Apple sold 12.7 million iPhone X handsets, with the iPhone 8 the second most popular device with 8.5 million shipments and the iPhone 8 Plus fourth most popular with 8 million. This represents a total of 30.2 million. However in Q1 of 2017, Apple sold 18.3 million iPhone 7 Plus units and 17.3 iPhone 7 units – a total of 35.6 million. This drop can partly be explained by the high price tag but also because Apple is selling more of its old smartphones than ever before, with the iPhone 7 and iPhone 6 also in the top ten. However the value of each sale is increasing and has contributed to healthy results for the company. “Although Apple’s newest model shipment volume declined, the company announced good earnings in the first quarter, mainly because of price increases in the iPhone 8 series and the super-premium price of the iPhone X,” said Jusy Hong, director of consumer devices, for IHS Markit. In a bid to maintain this, analysts are suggesting that Apple could extend the iPhone X range to three devices later this year, with two devices boasting an AMOLED screen. Samsung handsets occupied the rest of the top ten, with its top selling device – just as it was last year – being the low-tier third place Galaxy Grand Prime Plus, which shifted 8.3 million units. The Samsung Galaxy S9 Plus was in fifth with 7.4 million and the S9 was seventh with 7.2 million. Apple and Samsung are the world’s two largest smartphone manufacturers, ahead of Huawei and Xiaomi. However despite the latter two Chinese firms enjoying considerable success, they have yet to strike gold when it comes to an individual model.